London is one of the most popular places to visit in Europe, and it's not hard to figure out why. With it's huge party scene, plenty of historical charm, great restaurants, and loads of activities, every traveler can find something to do here! 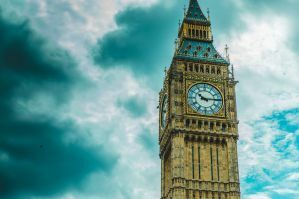 London is also one of the most expensive cities you can visit, so the need to find cheaper accommodation options is a must. Many backpackers use a variety of strategies to try and keep their costs in check. Hostels provide a social setting at a cost that many backpackers can afford and find reasonable. Some of the city's most popular hostels are listed below which are great for budget travelers looking to save some cash. Let's get started! 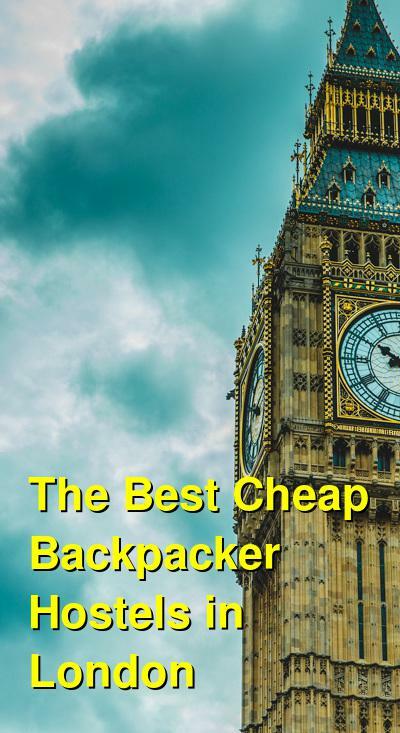 What are the best hostels in London for backpackers? This popular hostel is within a short walk of Oxford Circus, Hyde and Regents Parks, and many of Camden's most interesting pubs. It offers a relaxed atmosphere in a fun setting. They keep the hostel clean and comfortable and there are plenty of people hanging around to socialize with. Guests can choose from a range of rooms including singles, doubles, and dorms with 4, 6 or 8 beds. Guests can use a shared refrigerator and there are lockers and secure luggage storage available. The hostel is also in close proximity to public transportation. It's a couple minute walk from Marylebone and Edgware Road station. This is the closest hostel to the London Eye. It's also just a five minute walk from Westminster, Big Ben and the Houses of Parliament. The hostel offers all of the typical amenities including wi-fi, lockers, a simple breakfast, and baggage storage. The staff is wonderful and is readily available to offer any travel information you might need. There's a bar downstairs that has great food and drinks. Many guests enjoy hanging out down there and playing games. The hostel is also conveniently close to Waterloo Station. There are a variety of room types to choose from. These include dorms with 4, 6, 7, or 10 beds. There's also a 16 bed dorm available and one private room. This hostel is a favorite among travelers. It's the first of several Generator Hostels and it's located near Russell Square in the middle of the West End. It's a great place to base yourself in London, and most of the city is accessible by the tube. This is the perfect place to return to and unwind after a busy day in the city. It's a social place and a great spot to meet new people. There's a bar where you can enjoy drinks and there are a range of rooms including dorms, quads, and private rooms. Guests also have access to wi-fi, luggage storage, a laundry room, a games room, and organized events and entertainment. This is a chain hostel that has a variety of locations. This hostel in particular is located in the Paddington area and is right next to the train station. It's also easily accessible from Heathrow Airport. It's located in a Georgian style building that has been modernized and offers a great atmosphere. There are 68 rooms that are spread over 7 floors. These rooms range from doubles to eight bed dormitories. Whether you're traveling alone, with a companion, or as a family, there are options available to you. Amenities available to guests include free breakfast, a common area with a television, a bar, wi-fi service, lockers and more.